9 years ago, I was at the lowest point of my life emotionally, mentally, and financially. 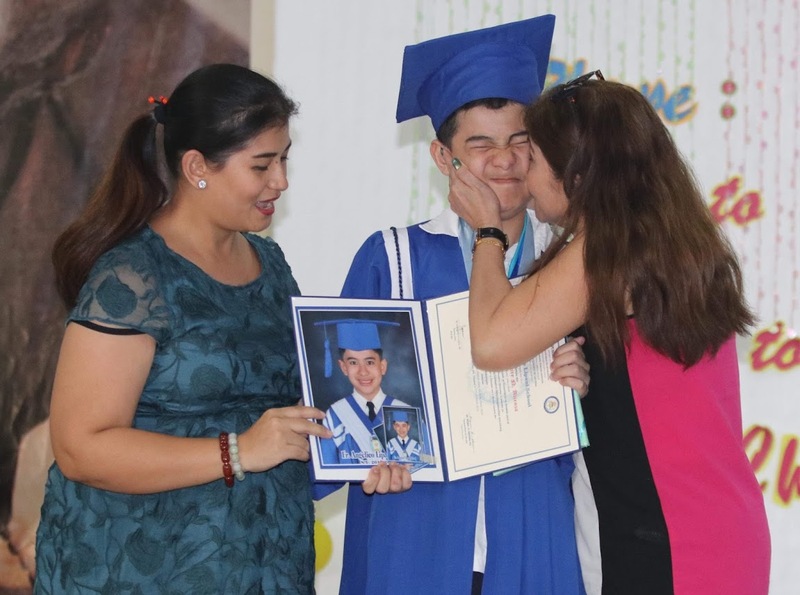 I had to home school my son for 2 years coz I didn't have enough funds to send him to school. It was that bad for me and my finances. The first 5 years in school, I constantly struggled making payments. Thankfully, the school was very understanding and gave me leeway. 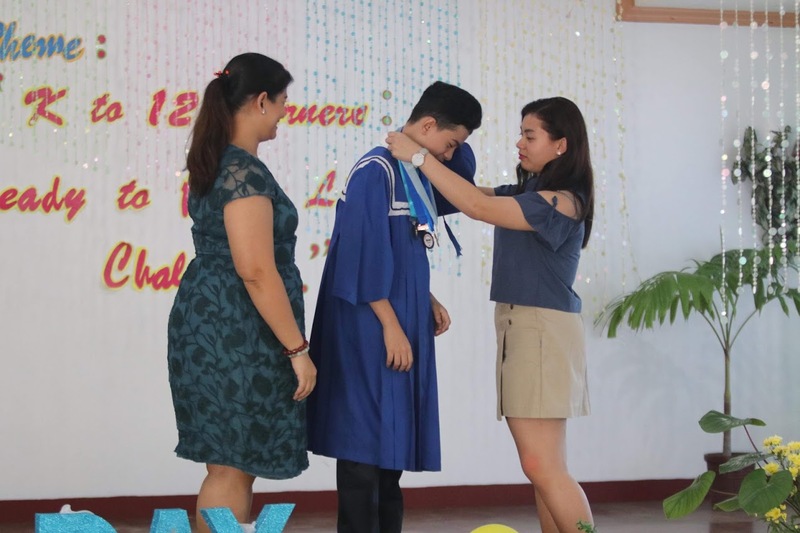 Sometimes, I could only pay Php500 a month and sometimes, I had to stretch the entire school year just to be able to make a full payment. It was only the last 3 years that I was able to make full payments and it was truly exhilarating. 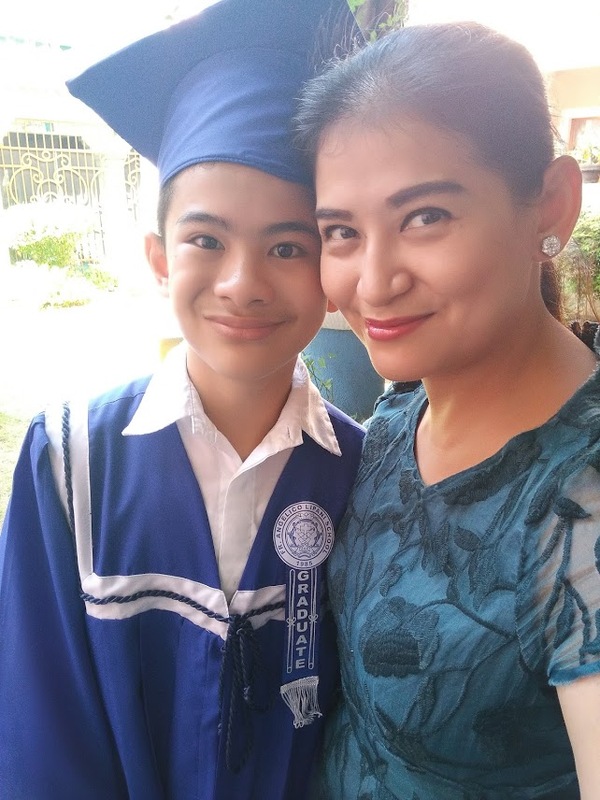 Finally, I cannot believe that I am able to say that with hard work, sleepless nights, blood, sweat, and tears, my son has finally graduated from elementary. We survived! I am so thankful that my son is such a great student. 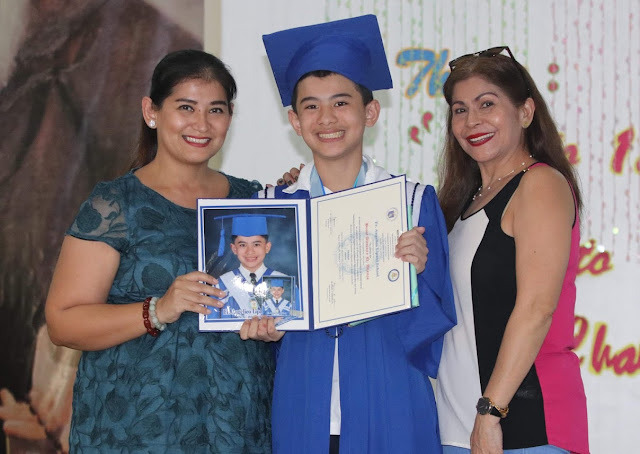 He self studies, asks for help when he needs it, and basically likes school. 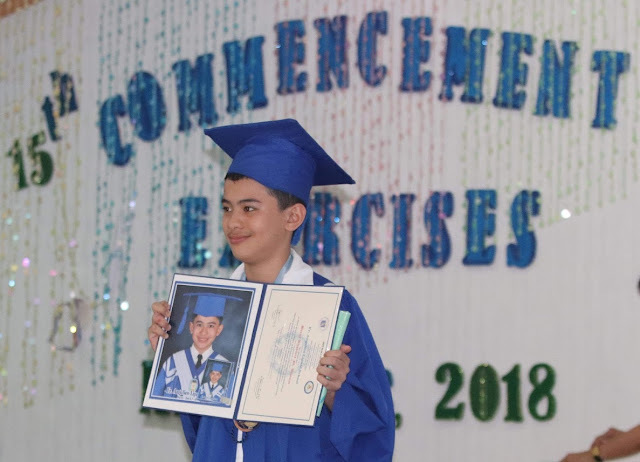 I hope this continues way into high school and college years. I really am very proud of him. Huge thanks goes to my family who was there to guide my son while I was out being a Dad so I couldn't be a Mom 100%. They have been such awesome support and I know that my son wouldn't have been able to achieve things without them. 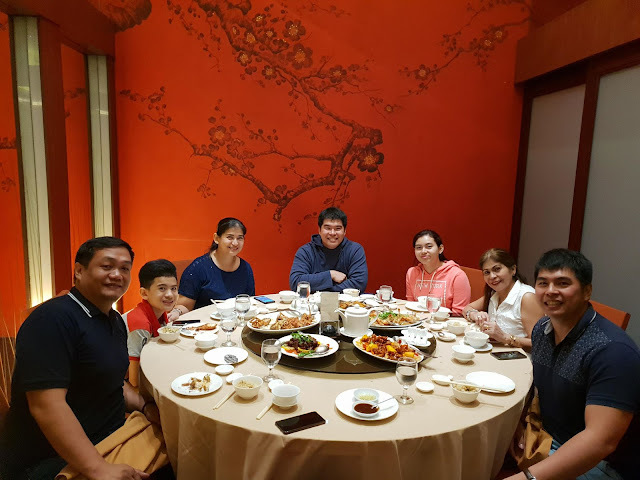 Thankfully, my brothers flew in from Singapore just in time to join us for the celebratory dinner. 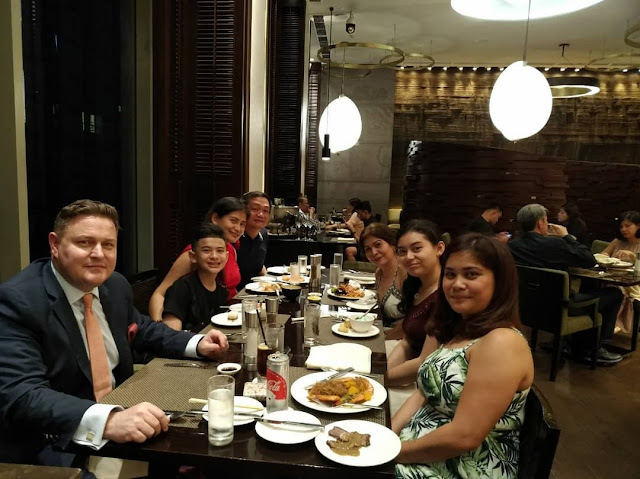 We had dinner at Phoenix inside Bellevue Hotel because we were already checked in for my sister's 18th birthday which was happening the next day. 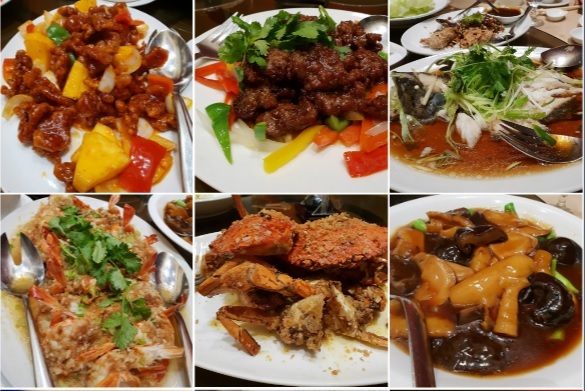 Phoenix serves a really good mix of Chinese food at reasonable rates. Their abalone which in some places can cost 3k was less than 2k and it was authentic. I am and will always be grateful to these people for having my back and being there for my son at all times. I know that we wouldn't be at this stage if it weren't for them. Truly, they are the wind beneath my wings and my son's wings. I've stayed at the Ritz Carlton in Hong Kong which is a Forbes 5 Star Hotel. I've also stayed in Berjaya in Malaysia which I believe is a 6 star hotel. I've also stayed in Peninsula Excelsior in Singapore. 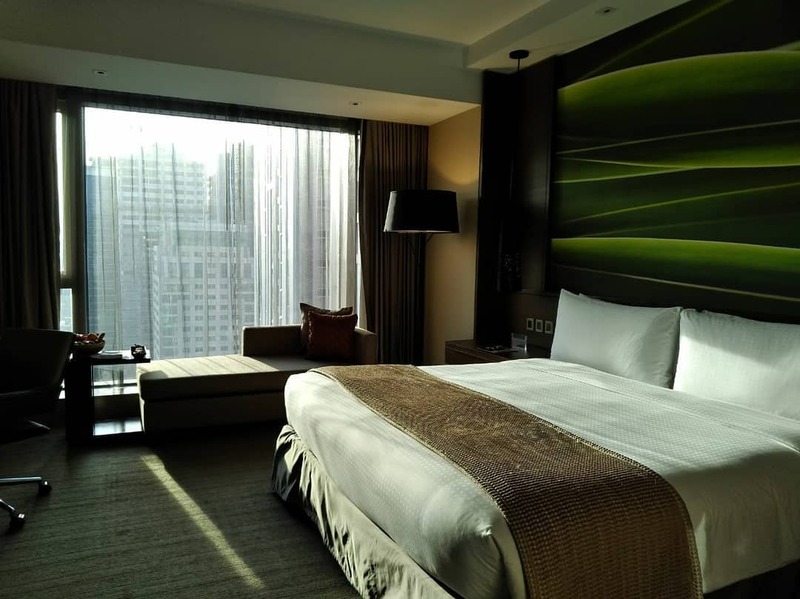 My point is, I've stayed in hotels that ranged from 4 stars to 6 stars but I have never stayed in a Forbes 5 Star Hotel here in the Philippines ... that is until I stayed at Marco Polo Ortigas for the 2nd time on their 2nd year as a Forbes 5 Star Hotel. Two weekends ago, my family and I stayed at Marco Polo Hotel in Ortigas. This was my 2nd time but it was a first for my family so I was really excited for them to experience staying in a Forbes 5 Star hotel. After all, there are only 4 in the Philippines and this was the one nearest to where we live. This was our room. Four of us stayed and they were kind enough to plaec an extra bed. What I was impressed most about this was the fact that the placcement of the extra bed did not cramp up the room because the attendant was really good in where he placed it. He seems to be a master of Tetris because he placed it perfectly in a nook. 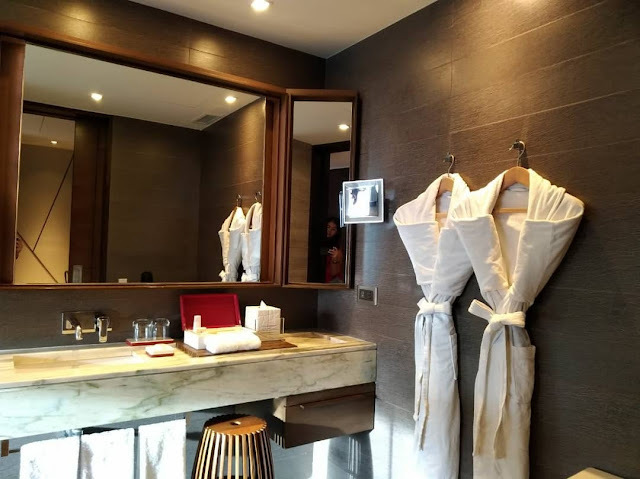 The bathroom was also very spacious and had a shower and bathtub which my sister and son thoroughly enjoyed. 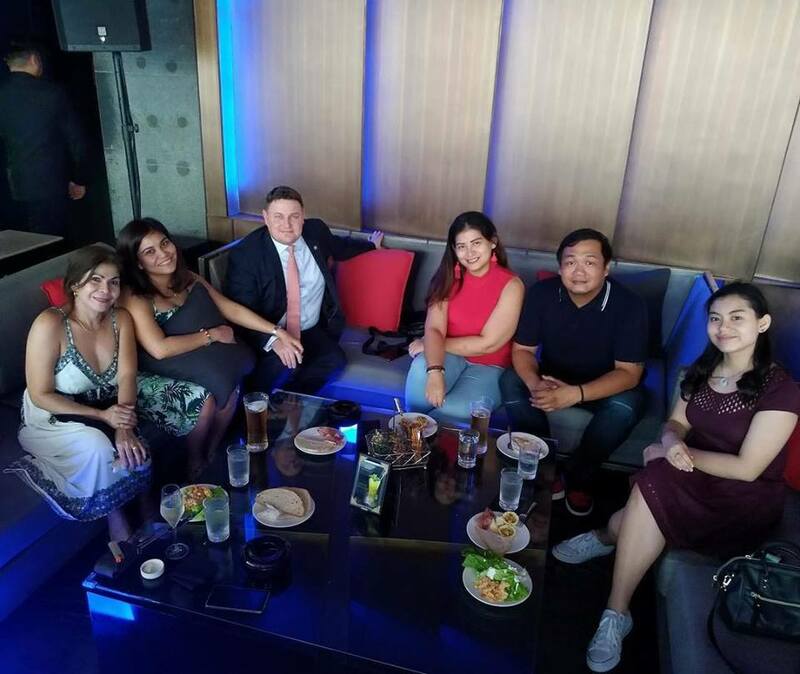 After we have settled in, the adults went up to the VU SKY LOUNGE where we enjoyed aperitifs and wine. M loved the cheese and the fact that there was unlimited beer. My sister and Mom enjoyed catching up and the view. 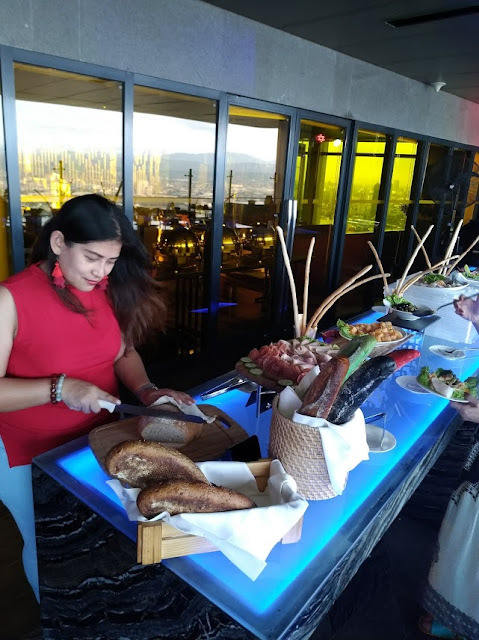 After enjoying the view of the sunset at VU Sky Bar, we headed down to have dinner at CUCINA. Our family enjoyed dinner a lot. 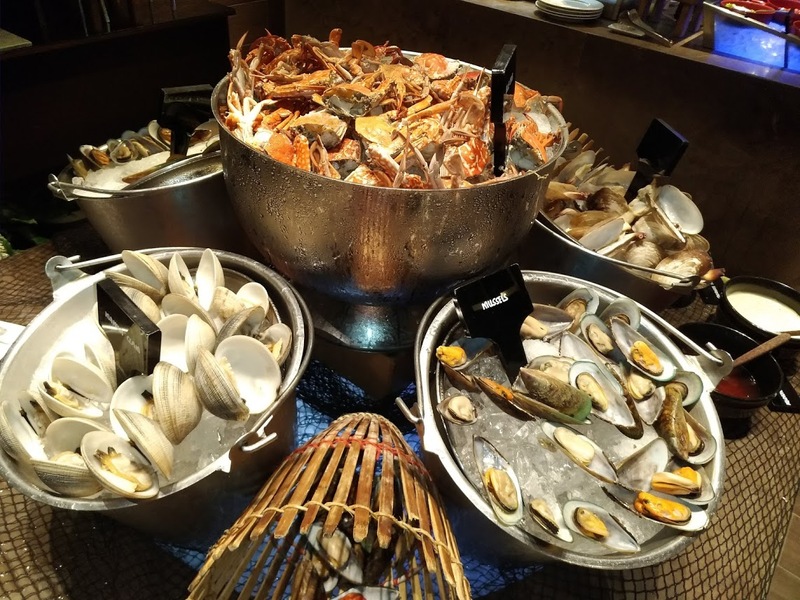 There was a huge variety of choices from seafood to Japanese, Indian, Filipino, Chinese, and desserts that is sure to add a few inches to your waist but it will be oh so worth it. The next day, we had lunch at Lung Hin. 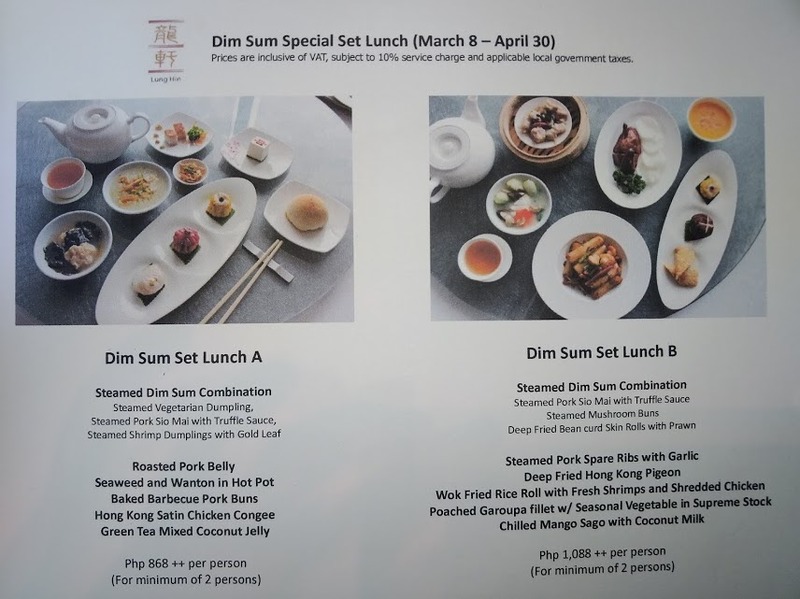 Lung Hin is the Chinese restaurant found inside Marco Polo Ortigas. 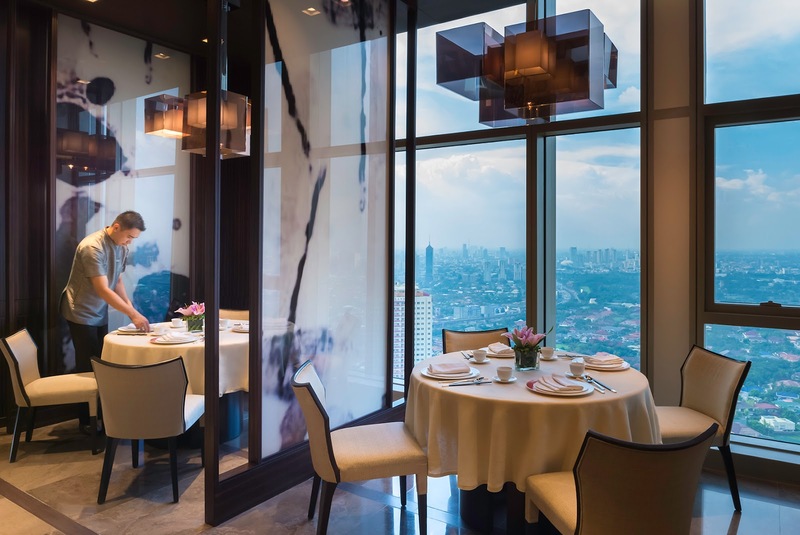 They serve some of the best Chinese dishes that side of the city. It can be a little pricey but starting March 8, they have actually come up with a lunch menu that makes eating awesome Chinese food more affordable. We definitely enjoyed eating these. 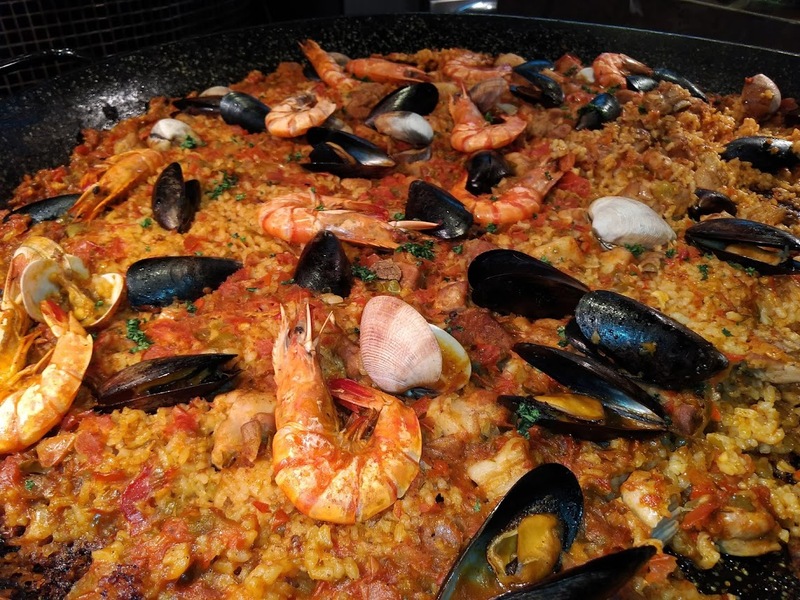 It may look small but trust me, we weren't able to finish it because those little dishes can fill you up quickly. 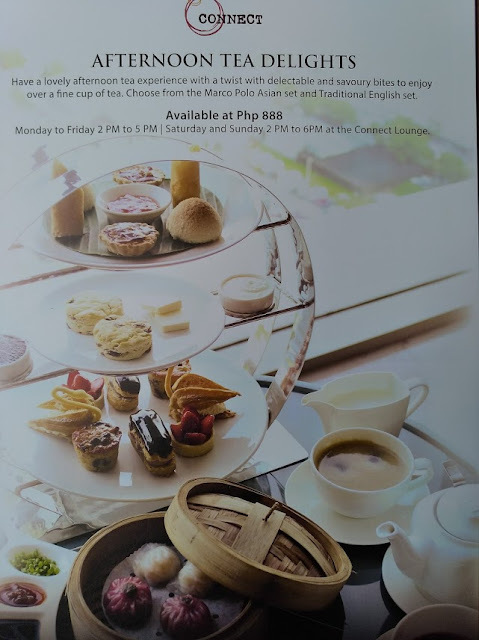 Finally, before we left, we indulged one more time with Marco Polo's afternoon tea. Whenever I have afternoon tea at Marco Polo, I always feel like royalty. 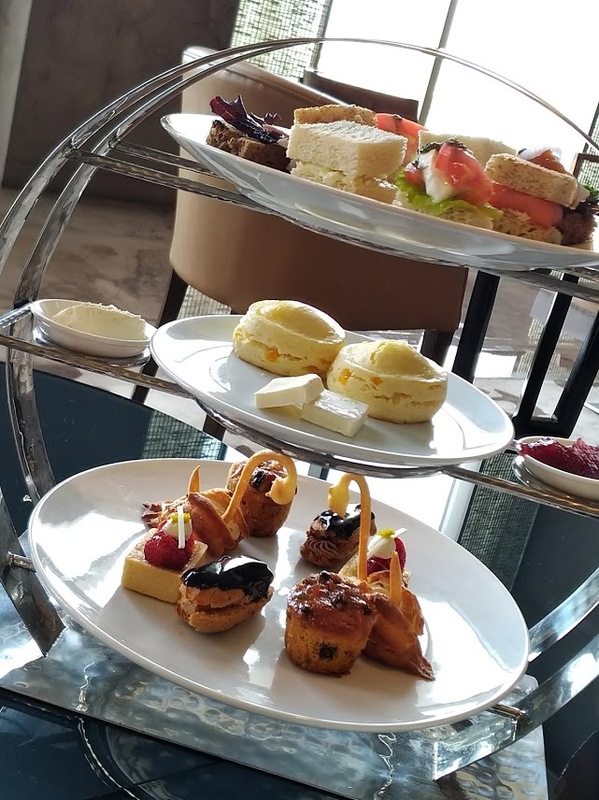 The way the scones and bread are presented in this lovely silvery tray, the coffee, and the way it's presented just makes you feel like you are VIP. 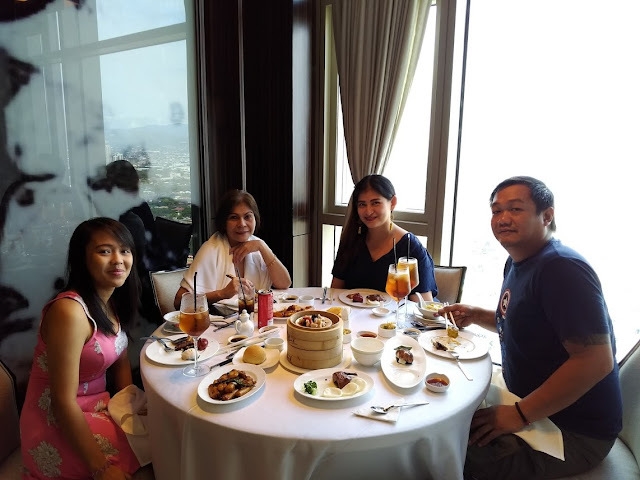 My family was definitely impressed with Marco Polo Ortigas. 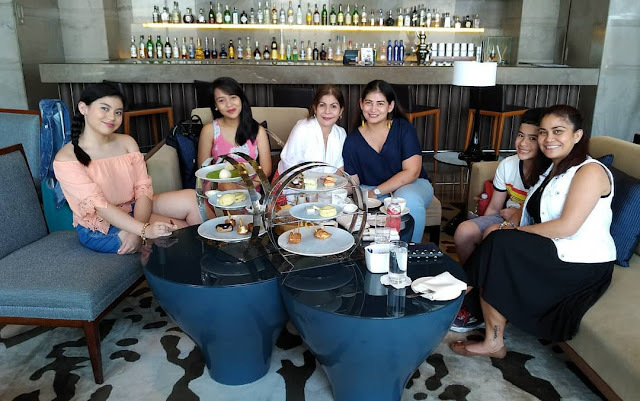 They loved how beautiful the place is, the majestic sunset at Vu's Sky Bar, the fancy Chinese dishes at Lung Hin, and the buffet that one can feast on at Cucina. Overall, it was definitely a staycation that was an indulgence from beginning to end. We expected nothing less from a Forbes 5 Star Hotel such as Marco Polo Ortigas. The other day I wrote about THE FIGHT. Yes, let's call it that because it is the biggest fight we have had to date and I hope that it is the biggest fight we'll have for a very long time. After all, it is the worst and it really was hurtful. The main thing that I worried about should we fix thing was how I'd get over what happened. I couldn't imagine us being okay again and for me to be comfortable around him again. I thought that just like before, I wouldn't be able to get pass it and have to relive things again and again. Well I did ... but only for a day. A day after we started talking, I was still upset about it but what I like about M is that he answered all my questions and in the end, he finally said what I needed to hear. He assured me that he woud never ever do what he did and I believe him. It seems that when things are right, it's a lot easier to forgive and forget. 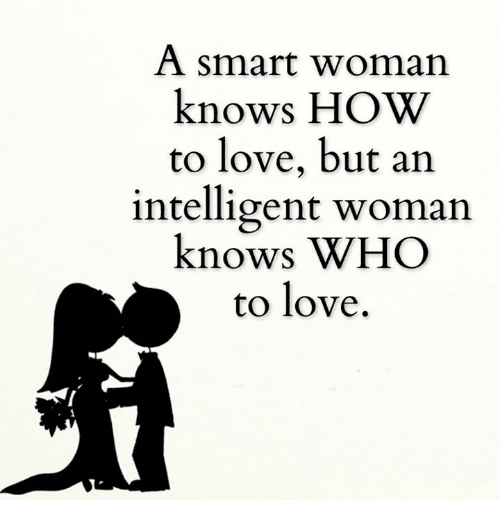 Of course I'm not an idiot and so I also told him that should he do it again, he can kiss everything goodbye.